The federal estate tax was made permanent as part of the American Taxpayer Relief Act. (A few months after ATRA passed, Obama’s 2013 Budget Proposal moved to revert the “permanent” estate tax to 2009 terms.) Now, less than two years since the estate tax was made indefinite, the House of Representatives may choose to repeal the tax. At the same time ATRA passed, the Death Tax Repeal of 2013 was proposed and it was not until June 2014 that the majority of the House came to favor the repeal. It has been nearly a decade since the vote to repeal the estate tax. If the federal estate tax is repealed, it is still possible for it to be voted back in the future. If the tax is not repealed or if it is and then resurfaces in the years to come, estate planning tools help eliminate or minimize taxes. The Clintons have supported the estate tax, yet they do not want to pay it themselves. The Clintons made headlines recently for their use of certain trusts, which reduce their estate tax burden. According to Business Week, the Clintons placed ownership of one of their homes into a qualified personal residence trust (QPRT). One tax advantage of QPRTs is that any appreciation in the house’s value is not counted in the former owners’ taxable estate. 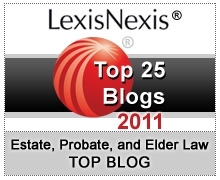 Protean tax laws are reasons why annual estate plan and asset reviews are important. How can one protect assets, minimize taxes, and preserve a lifetime of accumulated wealth for their loved ones? 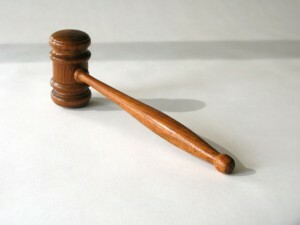 Annual reviews with a lawyer help ensure an individual’s wishes are protected. Interested in receiving updates on North Carolina tax and federal tax changes? Follow our Chapel Hill tax attorneys on Facebook and Twitter.